Here are a few short reviews of some beauty products that I’ve been enjoying in the month of August! When it comes to foundation and concealer I usually stick with Bobbi Brown. But this month, as I approached the end of my Bobbi Brown concealer stick, I decided I may as well consider switching it up for something a little cheaper. I had been feeling neutral about the product for a while so I figured, why pay so much for a high end brand when I could be paying half the price for something more effective? 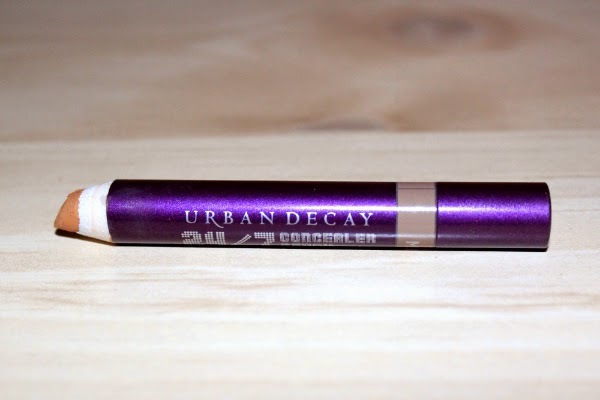 When searching for a replacement I did struggle to find a good highstreet/drugstore brand in my shade, but finally I came across the Urban Decay 24/7 Concealer Pencil - and it is amazing. It completely masks my dark circles, which is one of my main concerns, and fully covers any other blemishes and discolouration. I find it also blends in really well with liquid foundation. My only slight annoyance is that it has to be sharpened regularly, but the pros far outweigh any cons. The pencil is also only £12 which I find is a ridiculously reasonable price for such a great and effective product. It’s been a while since I’d purchased new nail varnish, so last week I decided it was high time! I was after a long lasting varnish as I seem to be prone to chipping easily. Despite the fact that most people seem to swear by Essie my only experience with an Essie nail varnish was with it chipping within only a couple of days, and I’ve never been willing to take the risk since. So whilst browsing in Superdrug this month I noticed some pretty shades of Rimmel's 60 Seconds Nail Polish and I thought I’d give them ago. I didn’t particularly find that this product dried faster than any other brand per say, but I was very impressed with the varnish’s staying power and I love the shades. My favourite out of the three is the Midnight Skinny Dip which is a gorgeous metallic electric blue colour, reminiscent of the colour of the sky between twilight and dusk. I imagine I’ll be wearing this shade a lot in the near future! This month I bought NYC City Proof Twistable Intense Lip Colour, in shade Gramercy Park Plum. This was my first time with a lip crayon and I’m been having a lot of fun just with its satisfying application! 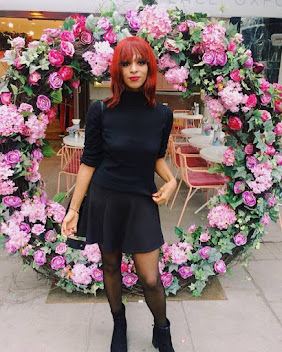 I’m personally accustomed to dark purple/red lip shades so this purple is lighter that what I’m used to, but I find that it looks extremely pretty and may have even converted me to slightly lighter shades! The crayon leaves a soft but vibrant finish and a very long lasting coverage. I’m hugely happy with this buy and am sure to be repurchasing. This is my favourite product that I’ve invested in this month. This year I’ve been struggling a lot with eczema, particularly eye eczema which I’ve been very self conscious about. So as you can imagine I’ve been spending ridiculous amounts of money on an array of creams and ointments, and hadn’t yet found any to be effective enough. Then recently through the grapevine I heard about Dr Organic Manuka Honey Rescue Cream and its impressive track record in treating eczema. I went and purchased it last week from Holland and Barrett and was extremely impressed. In the space of a week it has very noticeably decreased my eczema, which is an incredible feat considering how dyer my skin and allergies have been recently. I can’t give a full review until I give it a little longer to work but so far the eczema on my chest and arms has almost fully gone and it’s also managed to keep down the swelling of my eye lids. The product contains natural ingredients such as manuka honey, sweet almond oil and aloe vera and smells pleasantly sweet whilst feeling hydrating on your skin. The product is affordable at £8.89, but the downside is that it comes in a small jar, and if you are wanting to use it over a large area you may find that a single jar isn’t particularly long lasting. But saying that, the cream has a thick constancy and just a touch of it at a time applied to any given area will be more than effective.